Come on! I LOVE THIS!!! 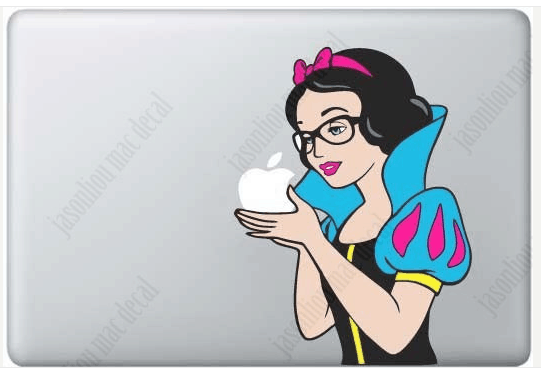 Snow White as a geek taking the MAC apple. I’m sorry but this is RIGHT UP MY ALLEY!! Had to share. Good morning. Have a great Tuesday! This is awesome! Can I ask where you got it? This is definitely the kind of thing I would want for my mac as well. oooo yes, please do tell where you got that magical cover from?! it’s so cool!